I read this article and found it very interesting, thought it might be something for you. The article is called Bittrex Exchange Beginner’s Guide Pt. 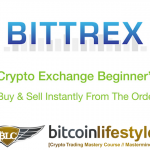 4: How To Buy Sell Crypto Instantly From The Order Books and is located at https://www.whatisacryptocurrency.com/bittrex-exchange-guide-how-to-buy-sell-crypto-instantly/. How to buy any coin market instantly at current market prices. Learn two methods of doing it. The standard method & the shortcut method! In the last segment of my Bittrex Exchange Beginner’s Guide, I’m going to show you how to buy and sell cryptocurrencies with more strategy than what you learned in today’s video. I’m going to show you how to place your bid and sell orders deeper into the buy and sell order books in order to capitalize on the beneficial price swings of the market [something you can estimate through ‘technical analysis’] and maximise on your profits. Today you learned how to buy and sell using the exchange like a blunt object. In the next video post I’m going to teach you how to setup your trade orders with calculation so you can profit with the finesse of an experienced trader. If you loved today’s Bittrex Exchange training, please share this post with your friends on social media. Thank you in advance for the support! Please use the social sharing options to share the #BlockchainRevolution with your network [the world]. It’s our mission to wake up and help as many people as quickly as possible and make the world a better place! 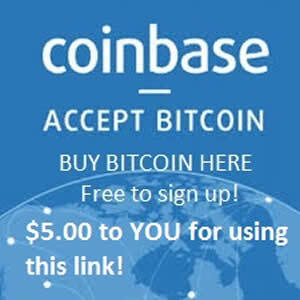 Submit your best email, and get your FREE Crypto Mini Course Today! Copyright © 2019 What Is A Cryptocurrency?